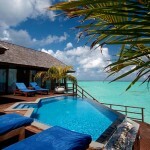 Surrounded by the clearest lagoon in the Maldives paradise, Olhuveli Beach & Spa Resort is a glorious place to visit. 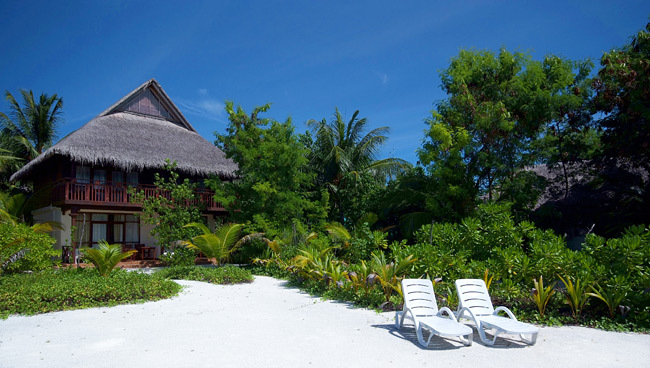 Located on the stunning South Male Atoll only 50 minutes by speedboat Malé, swaying palm trees and spectacular beaches will help you relax and completely unwind on your Maldives holiday. This small island is easy to fall in love with! 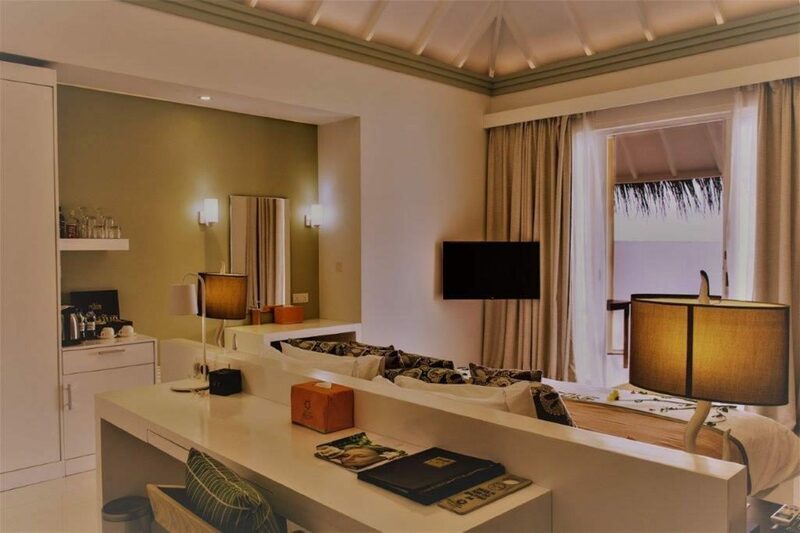 Olhuveli Beach & Spa Resort never feels crowded so you can easily find a secluded sandbank for yourself… The lush vegetation also helps give the island that deserted island feel, while the design of your luxurious accommodation celebrates the gorgeous Maldives nature. 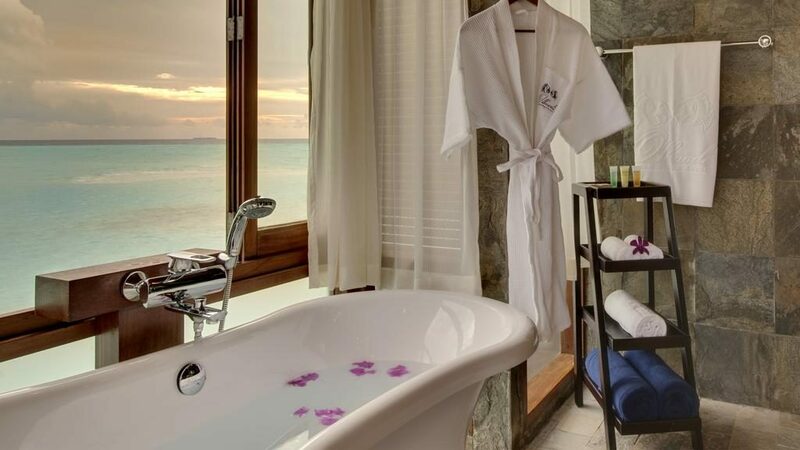 Thrilling watersports and an idyllic spa will keep you entertained throughout your stay – but if you wish to simply lay back and bask in the tropical sun, there is no other place on Earth that you’d rather be. 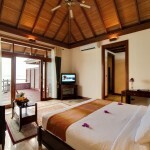 The Deluxe Room (50 sqm) is a stunning accommodation filled with character. 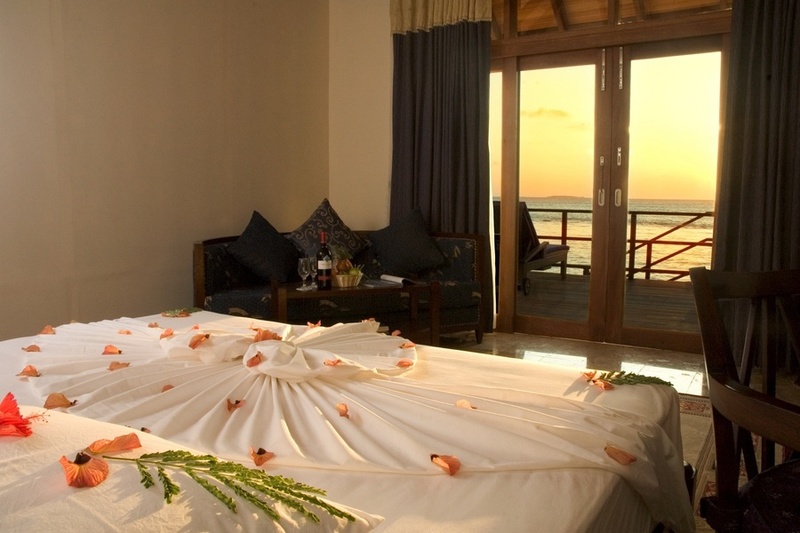 You will have a balcony or terrace to enjoy the fantastic views of the beach, an en-suite bathroom and a comfortable four poster bed. 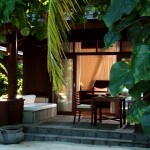 The lush vegetation surrounding the Deluxe Room adds privacy from neighbours. The Beach Villa (84 sqm) is where you really get the feeling of being on a deserted island. 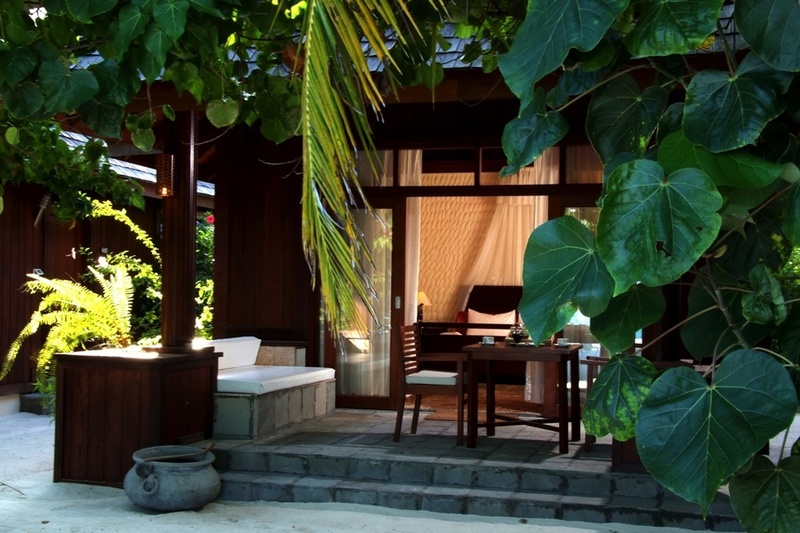 The Beach Villa is hidden amongst palm trees and dense vegetation, making for a private holiday experience. 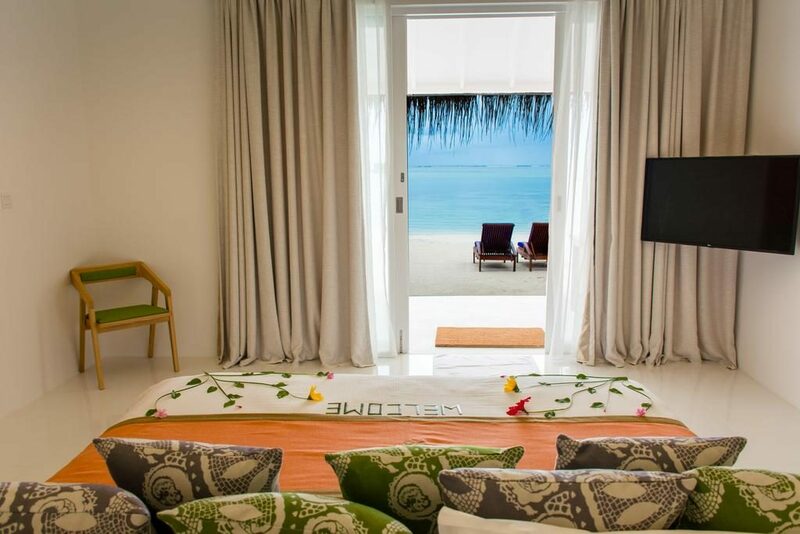 Located on the beachfront, your glass doors lead out to your private veranda where you can enjoy a drink in the sunset. 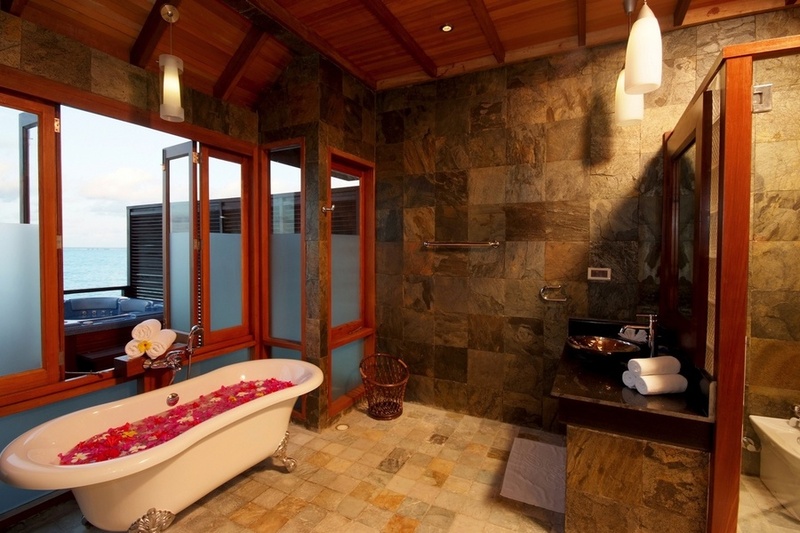 The open-air rain shower is a wonderful feature of the Beach Villa. 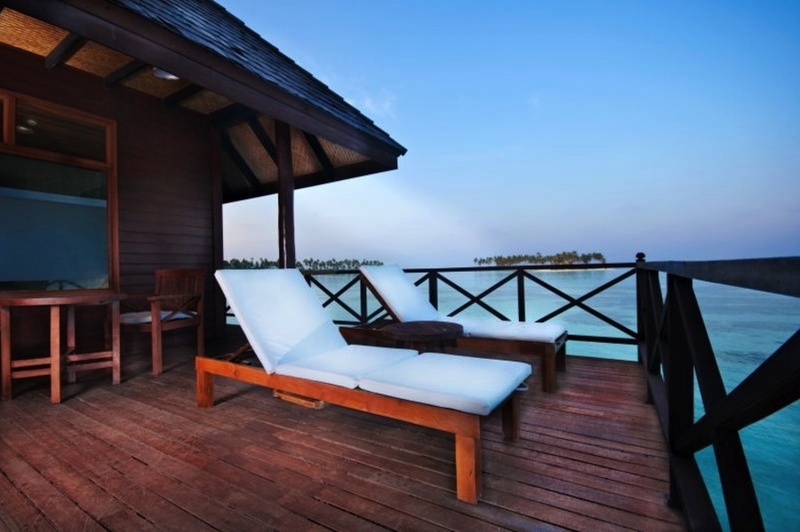 The Deluxe Water Villa (63 sqm) is perched over the lagoon and feature a swim-up platform with direct access to the crystal clear waters. 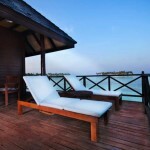 Your large balcony and sundeck are perfect for private sunbathing. 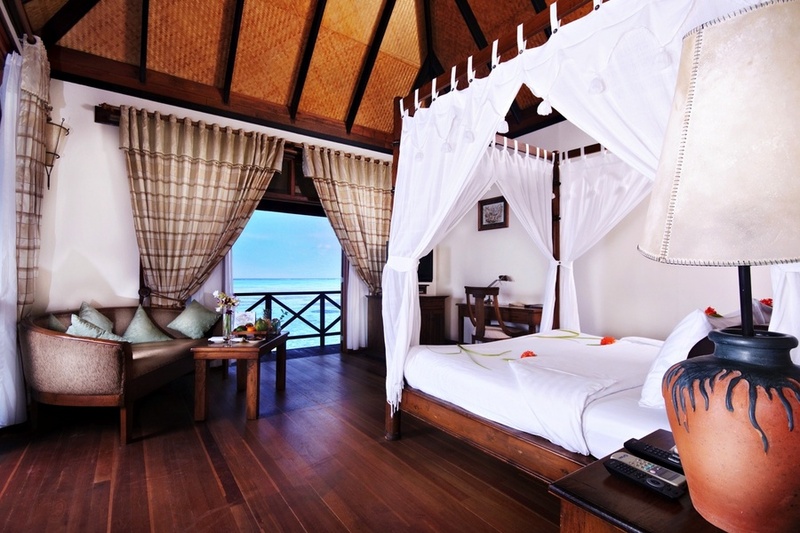 The Deluxe Water Villa includes a four-poster bed. 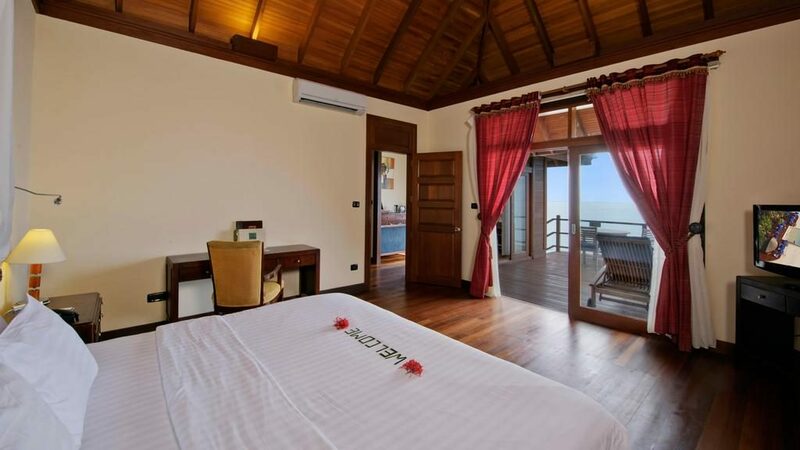 The Jacuzzi Water Villa (81 sqm) is teeming with luxury. 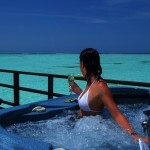 It includes a private Jacuzzi tub and direct access to the lagoon from your extended sundeck. 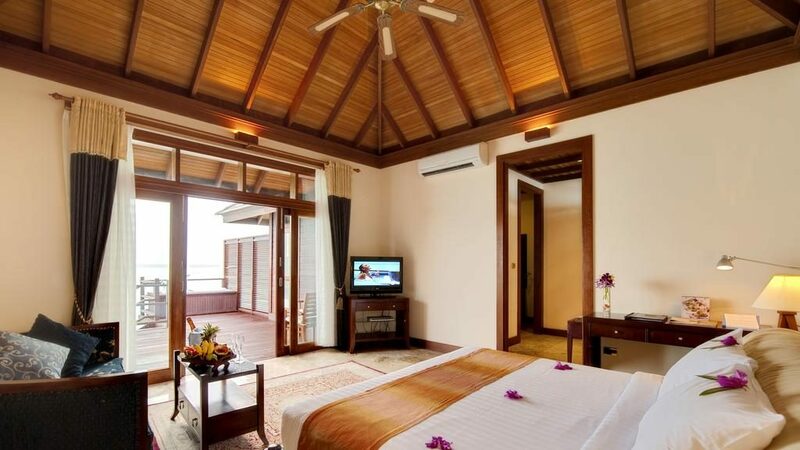 This stunning villa is one of the most popular accommodations at Olhuveli Beach & Spa Resort and it’s easy to understand why. 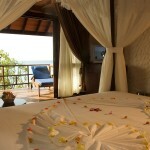 The Honeymoon Water Villa (122 sqm) is the ideal retreat for couples wishing to start off their marriage in the Maldives. 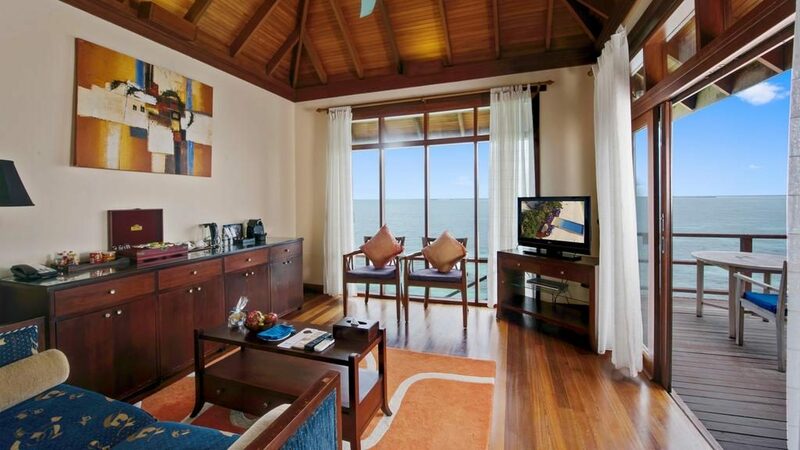 The villa is spacious and includes an amazing open-air Jacuzzi, swim up platform, panoramic views of the Indian Ocean and a large sundeck with a sauna. 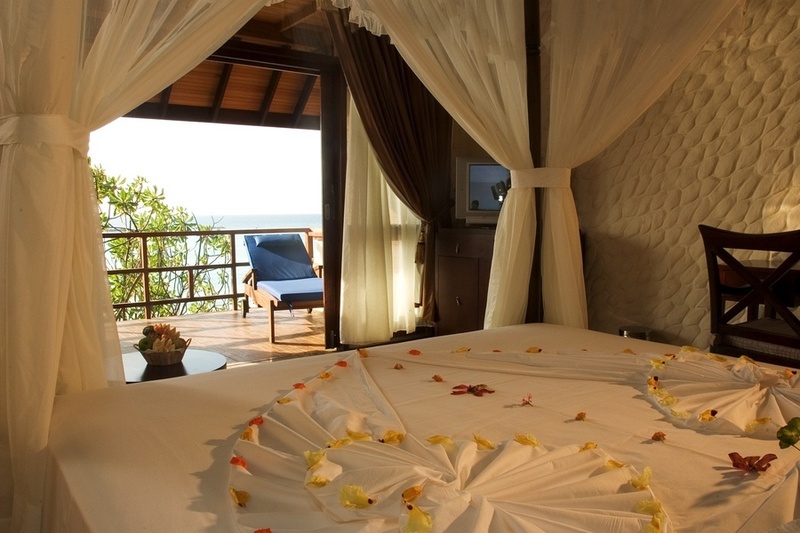 Each of the five Honeymoon Villas is lavishly presented with extra special touches, adding a romantic feel to the most important time of your life. 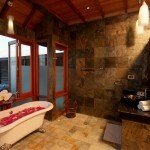 The Presidential Water Suite (271 sqm) is the most impressive accommodation available at the resort. 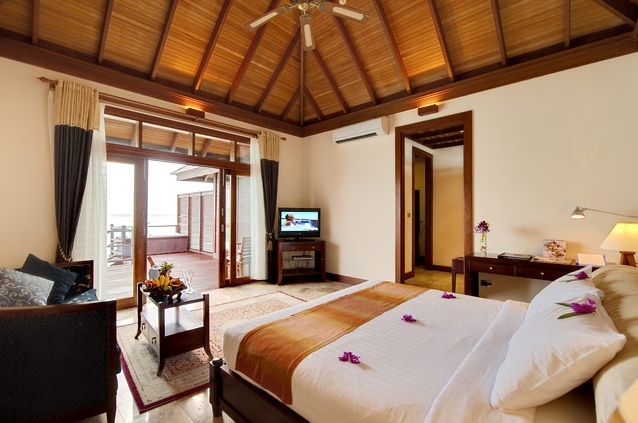 Complete with two bedrooms, kitchenette, pool, Jacuzzi, swim-up platform and your private sundeck, this suite is the epitome of Maldives luxury. A holiday doesn’t get any better than this. 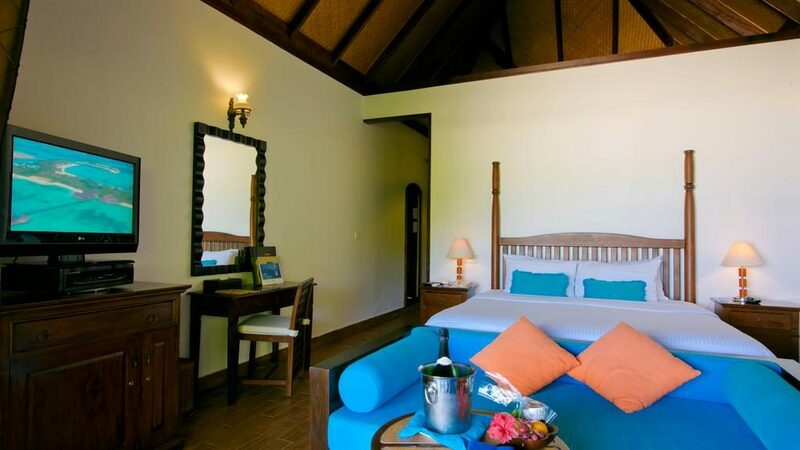 Olhuveli Beach & Spa Resort certainly caters for all your holiday needs, with a wide range of facilities and entertainment at hand. 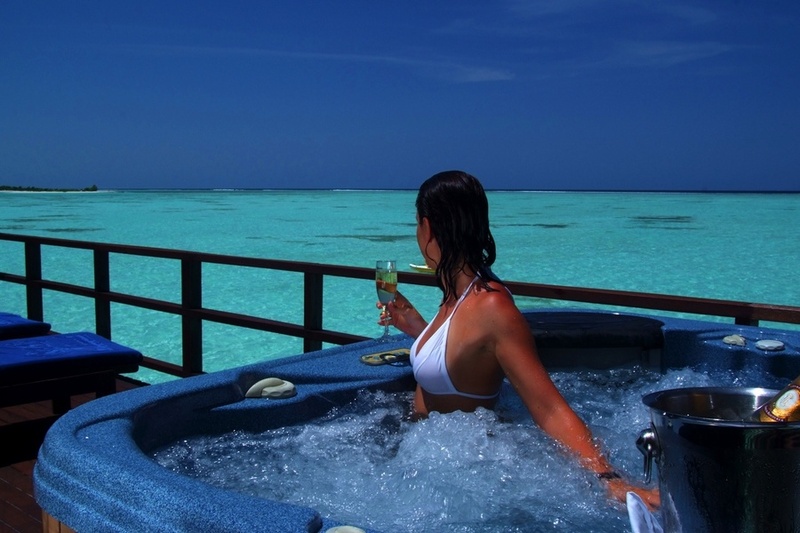 Scuba diving in colourful reefs, windsurfing, snorkeling, catamaran sailing or island hopping let you take advantage of the crystal clear waters of the Indian Ocean. 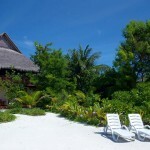 If you prefer to stay on land, you can play table tennis, beach volleyball, badminton or visit the jewellery shop. 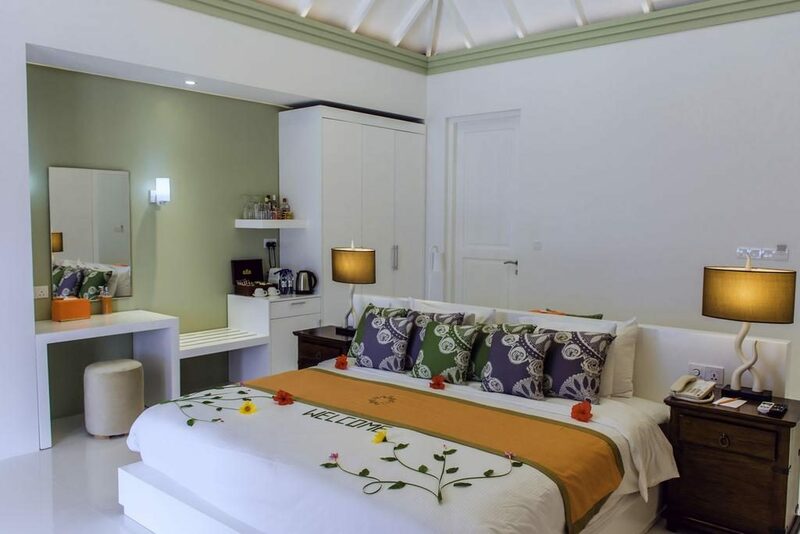 There is an in-house doctor, a shallow pool for children as well as a private karaoke bar for endless nights of singing along to your favourite tunes. 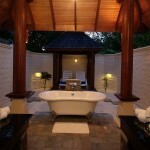 The Sun Spa is where you will head for traditional Asian spa treatments, hydrotherapi and a lovely steam room. 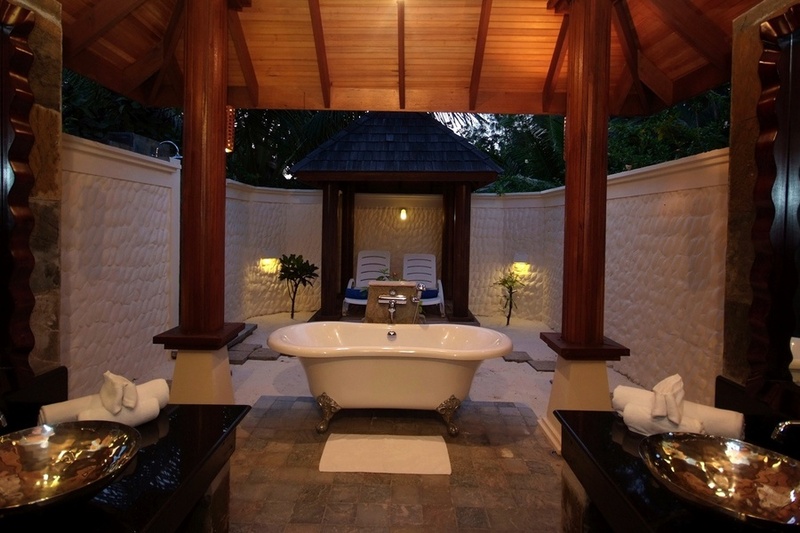 There are eight secluded spa pavilions where you can enjoy the spa’s own signature massage for those tense muscles. 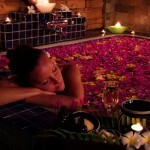 Taking a holistic approach to wellbeing, the Sun Spa makes the ultimate addition to a relaxing holiday in the Maldives. 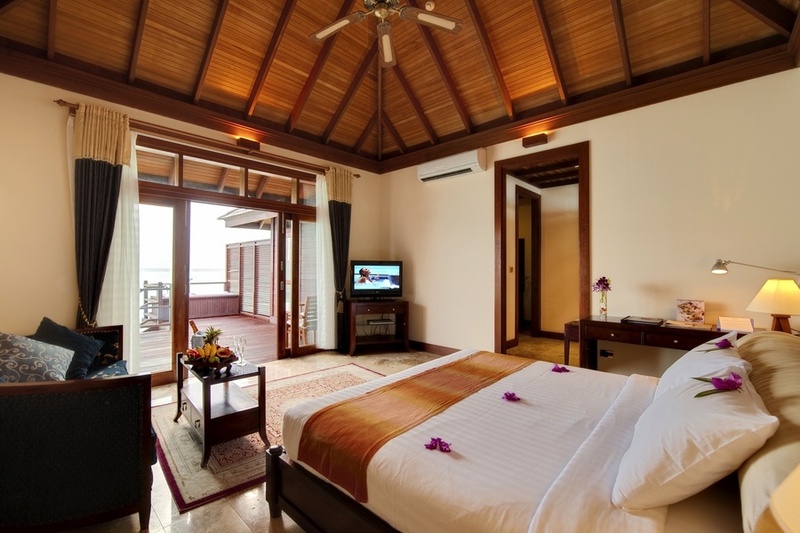 Dining at Olhuveli Beach & Spa Resort is always a real pleasure. Each of the seven excellent restaurant is delightfully finished and run by top chefs. Island Pizza is where you will find everything Western, from deli-syle sandwiches to pizzas and mouthwatering burgers. 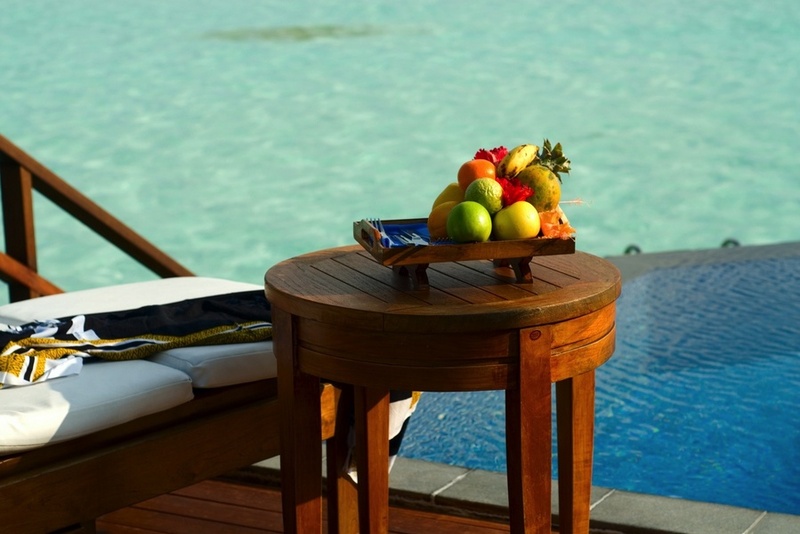 This is the perfect place for a quick bite before returning to your sun lounger. The Lagoon Restaurant offers a sumptuous a la carte menu, perfect for either a quiet snack or a romantic meal for you and your loved one. The Sunset Restaurant is a favourite of guests. 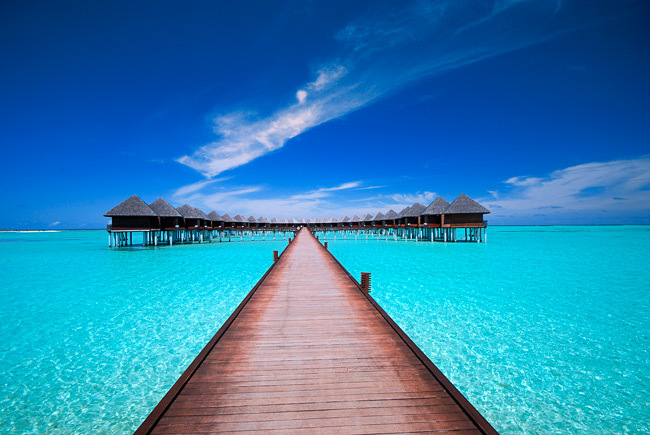 It’s one of the most impressive over water restaurants in the Maldives, which means you will both enjoy good food and a breathtaking view. You will find South East Asian, Chinese, Indian and Italian food on the menu. 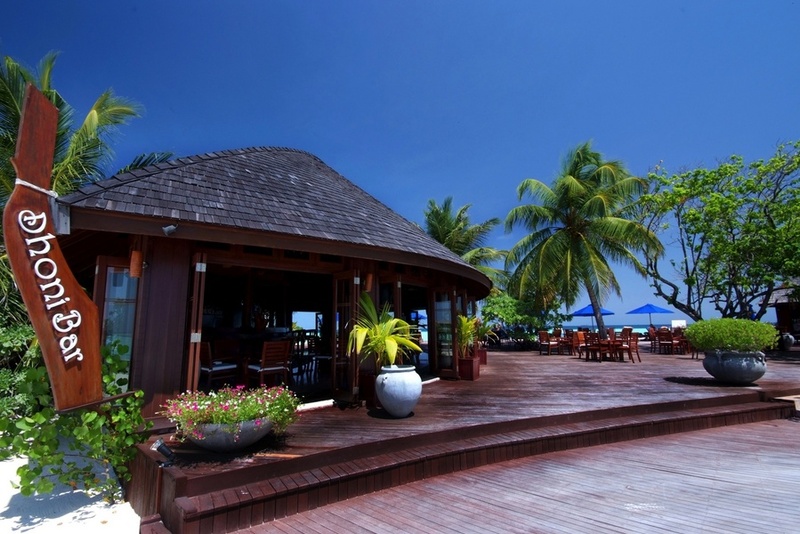 Dhoni Bar is uniquely shaped as a Dhoni boat and offers exotic cocktails and refreshments. 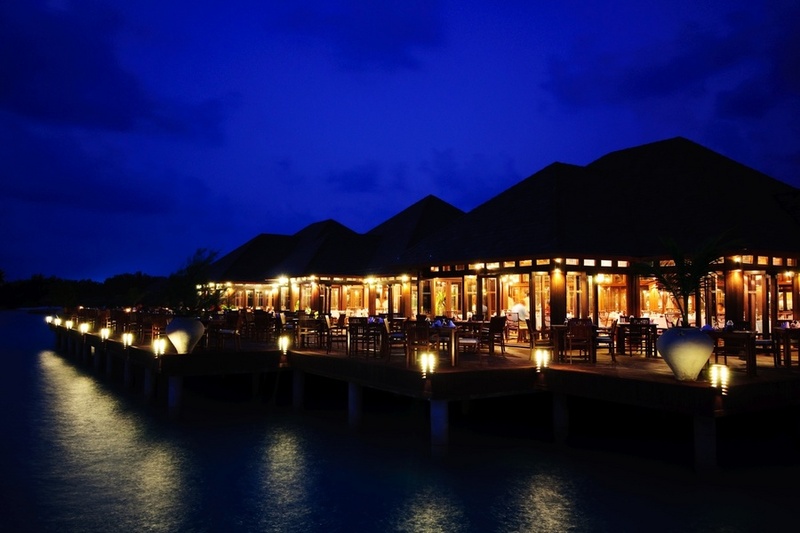 The Four Spices is set over the water, with a menu full of Asian flavours. 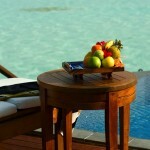 Here you can feast on Maldives specialties as well as well as Indian food. 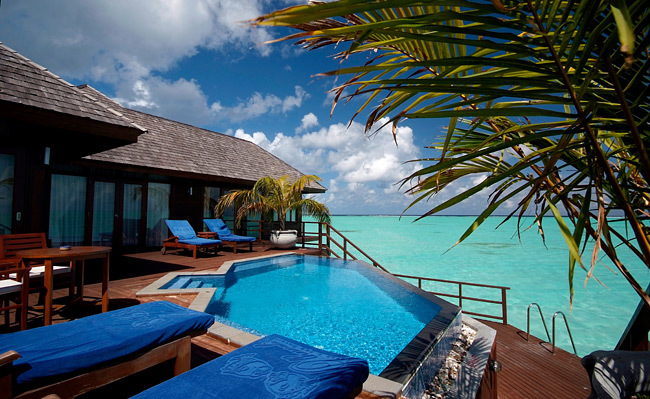 The Lagoon Bar is the ideal place to sip on a cocktail while taking in the scenery. Open until midnight, it makes the perfect spot for cooling off after a day in the sun. 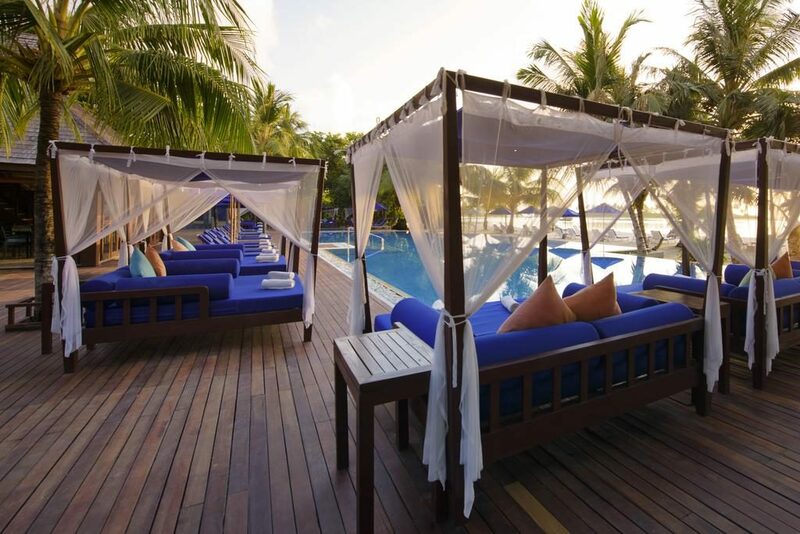 The Sunrise Bar is located by the main pool. 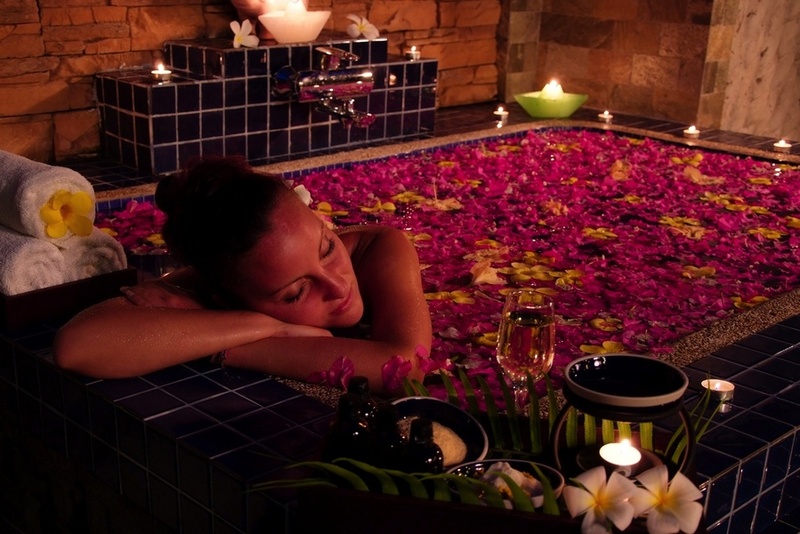 Just sit back and relax with a cocktail, or enjoy the buzz of being in the centre of activities. 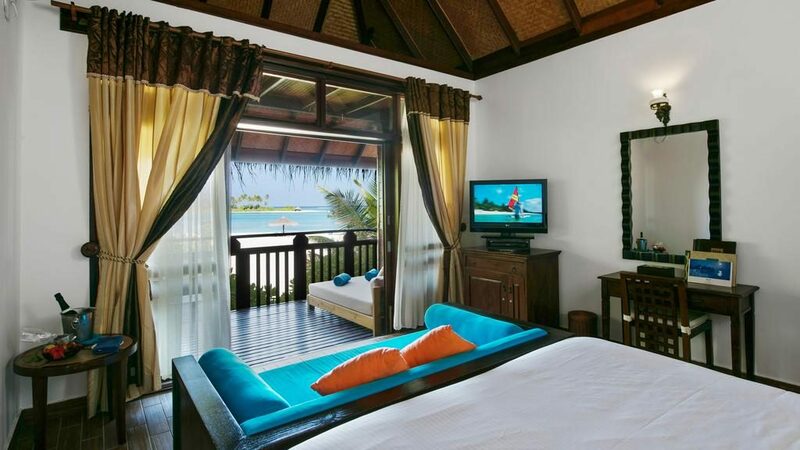 Simply Maldives Holidays offer a Half Board Package, Full Board Package and a fantastic All-Inclusive Package to guests staying at Olhuveli Beach & Spa Resort. 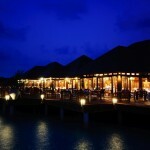 Sunset Restaurant offers an elaborate buffet with daily changing theme buffet menu. We kindly request you to book your table in Advance for a la carte restaurants to avoid disappointment. 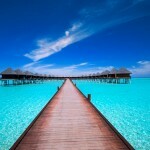 Simply Maldives can assist you with this.